Shredders Online is Australia’s number one source for office paper shredders, guillotines, folding & binding machines. We offer expert advice, free national delivery and warranties on all products. Call 1300 300 596.. Empire Office Furniture carries the largest range of commercial grade office seating in Queensland. Whether you require a visitors chair, operator chair, executive chair or a foyer or reception chair we will have the perfect solution for you..
With over 20 years of experience we are punctual, cost effective and offer continuous support to all of our clients.With over 20 years of experience we are punctual, cost effective and offer continuous support to all of our clients..
Contour Commercial Interiors A national commercial interior design and project management company.Contour Commercial Interiors A national commercial interior design and project management company. Address:Level 8, 65 York Street Sydney NSW 2000 Australia. We are currently selling our pre-loved office furniture (IN VERY GOOD CONDITION), location is at Plenty Road, Bundoora VIC 3083. There is one flight of stairs and no lift in our building. Items for pick up only. 1 boardroom table / 8 chairs 1 Office desk with return 1 credenza 1 Boardroom Chair 1 Boardroom Chair 1 Office Partition Call Centre Sound Barrier 1 Reception Counter We would like to get rid of the furniture quickly. The company has cemented its presence among the renowned Manufacturers and Suppliers of Double A Paper. 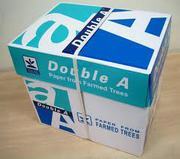 The Double A Paper offered by us is of A4 size (210mm x 297mm). In order to meet the bulk and urgent requirements of the buyers, we maintain a large stock of the Papers in our state-of-the-art warehouse. We are Narumon Paper(1986)Company Limited Base in Thailand , we Want to inform the world that we now have excess In Stock to supply . Our products always lead the way in this field, and we never change the principle which customers come first, we value the quality of our products as the life of our company. If the only excuse that is keeping you from buying a vending machine is the cost, then you are out of that excuse too. Ausbox, a leading provider of drink vending machines in Melbourne, offers drink vending machines free of cost—no strings attached. You only pay for what you consume. Everything else, delivery, refill service, after-sales service would be on us. If you are looking for a servo voltage stabilizer in Delhi, then R.D electric works is the perfect destination for you. From so many years, we are considered as one of the top-notch manufacturers, suppliers and exporters of servo voltage stabilizer in Delhi..
Get a vending machine for your workplace free of charge from Ausbox Vending. No costs, no contracts—no strings attached. No fuss or hidden charges, you only pay what the machine consumes. What can be a better way to bring the ease of vending machine in your workplace? 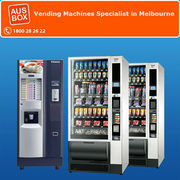 Contact Ausbox Vending for a free, reliable vending machine. 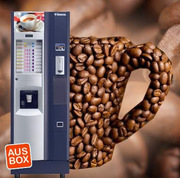 Ausbox Group supply best healthy coffee and drink vending machines at office, restaurant, hospitals, universities and businesses all over Australia. 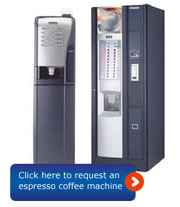 Our team provide service or maintenance costs for the espresso coffee vending machine in Melbourne, contract us at 1800 282 622 for buy coffee vending machine in Collins Street. If your are in search of Drink vending machines in Malvern East and if you want to buy best drink vending machines, here is the end of your search for high quality vending machines. We offer sustainable vending machines for your office and home and also help your start your own vending machines business in melbourne. If you are looking for soft drink vending machines in Dandenong North, Ausbox Group can help! 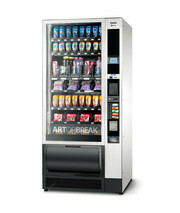 We can full fill your requirement of vending machines. Look no further. Order your wholesale coffee vending machines online now and have them delivered straight to your place within the week. For more information detail visit our site & Call us at 1800 28 26 22. If you are looking for wholesale snack, drink vending machines in Melbourne, Ausbox Group can help! We full fill your employees break-room, office, or vending machines. Look no further. Order your wholesale coffee vending machines & snacks vending machines online today and have them delivered right to your office or place of business within the week. 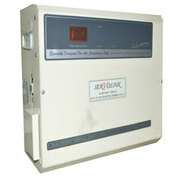 Ausbox Group are Sydney's largest vending machine suppliers. Based in Pyrmont, We can offer any vending machine suitable product in New South Wales. Our team can supply High Quality Coffee Vending Machines for your Business or Workplace, for more information contact us at 1800 28 26 22..
We have all types of A4 paper 80 gsm 75gsm and 70 gsm also we have A3 paper A4 paper in roll, ream.You can request for the specification of all the below paper.brightness 100% which is good for all office use. Item :Copy Paper Material :100% wood pulp Size :A4, Letter size(8.5x11), 8.5x13, Legal size(8. Are you looking for business phone systems Brisbane? At Reliance Communications, you can find best Samsung officeserv services, avaya 9600 series ip deskphones and related accessories at affordable price. For more information you need to visit at http://reliancecommunications.com.au/ Contact: G.
Copycat Printing and Stationery ph 07 3831 4766 for discounted printing in Brisbane at the cheapest prices. Located at Spring Hill we will not be beaten on price and have been supplying print and copy services for over 2 decades. Please Visit website for more information http://www.copycatprint.com.au/ Phone:. 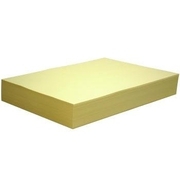 We offer our customers a wide range of A4 Papers with following features Material: 100% wood pulp Size: A4, A3, 8.5"x11", 8.5"x14" Base Weight: 80gsm, 75gsm, 70gsm Whiteness: 92-96%, 98-100%, 102-104% Packing: 500 sheets per ream, 5 reams per carton Been developed for: Photocopy Machines, Laser Printers, Ink-jet Printers, Fax Machines. We are a Major supplier specializing in all kinds of office paper products in Malaysia. 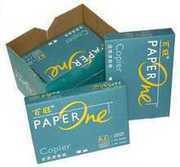 Our major products are A4 & A3 copy paper from Thailand PAPER ONE 80GSM 500 SHEET PER REAM. 5 REAMS PER BOX PAPER ONE 75GSM 500 SHEET PER REAM. 5 REAMS PER BOX PAPER ONE 70GSM 500 SHEET PER REAM. 5 REAMS PER BOX get back to us for more details with your email http://noblesuppliesoilsltd. Specification: Copy paper 80 Gsm. Paper size A4 (210 X 297 mm.) Two-sided usage gives the paper sheet high opacity. Smooth paper surface makes sharp printing and copying. Available size 250 sheets and 500 sheets (1ream) Product details A3 (297x420 mm.) 500 sheets A4 (210x297 mm.) 40 sheets, 100 sheets and 500 sheets B4 (257 X 364 mm. 1) The A4 size: 210*297mm. 2) The packaging: 500sheets/ream, 5reams/carton. 3) The weight: A4 80gsm is 2.495kg/ream, 12.475kg/carton. The Measure for carton is 22*31*28.5cm. 4) Our Offer: We can offer you A4 copier paper from 80gsm, 75gsm to 70gsm. 5) Our minimum order: Is one 20ft container which One 20ft can hold 7800reams 80g a4 copy paper , hold 8400reams 75g a4 copy paper , hold 8800reams 70g a4 copy paper Minimum order Quantity: 1X20 FT Container Supply Ability: Unlimited Price:We have A4 paper 80 gsm and 70 gsm also we have A3 paper A4 paper in roll. Wire mesh conveyor belts Easy to clean and immune to chemical reaction, wire mesh belt is ideal for diverse applications from metalworking to food and clean-room medical. Metal Conveyor Belt Manufacturing newest development in modular low-profile conveyors features a stainless steel wire mesh belt with exceptional thermal and chemical resistance, combined with a 60% "open flow area. Office Equipment Australia ads Australia, Office Equipment classifieds Australia, Office Equipment free ads Australia, ads for sale Australia, ads to buy Australia, FREEADSAustralia Page number 2-1. Find here ads for sale, to buy and rent in Australia. Goods for sale in Australia, vehicles for sale in Australia, Australia real estate for sale, Australia property for sale, property for rent in Australia, business ads in Australia, Australia business classifieds, services in Australia, Australia services ads, jobs in Australia, pets for sale in Australia, Australia dating, Australia cars for sale.